Ben Clark scored six for Rakkam in their 8-1 win at Atletico Grace in the Doncaster Sunday Alliance League Premier Division. Brett Lucas and Jack Kennedy also found the net as the visitors claimed their eighth win of the season to retain top spot on goal difference. 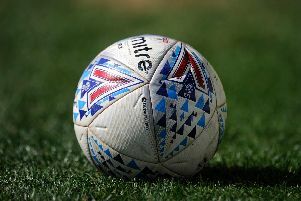 Scawthorpe Athletic, who have two games in hand, stretched their unbeaten start to nine games with a 3-1 win over Balby Athletic for whom Kyle Burton scored a consolation. Stainforth New Inn and Carpenters Arms battled out a 1-1 draw in the only other top flight game. FC Cumberland strengthened their grip on top spot in the Championship when beating fourth-placed Bessacarr 4-1. John Glynn, Craig Fletcher, Nicky Howcroft and Nath Johnson all found the net. Second-placed Dunscroft Social lost 5-2 at lowly Carcroft Village with third-placed Rosehill Press also tasting defeat (2-0) at Bentley West End S&S. The Beverley Inn beat Plough Inn Rovers by the odd goal in seven thanks to goals by Chris Liddle, Blake Freeman, Ryan Malee and Luke Newton. Real Bridge A exchanged places with Wheatley Club following their 4-2 away defeat. FC Wheatley Hills opened up a six-point gap on the bottom four thanks to a 7-2 win over Parklands. White Hart (Askern) opened up a ten-point lead at the top of Division One following their 6-0 win at Wheatsheaf (Doncaster). Pit Club Miners closed the gap on second-placed AFC Balby, who were without a game, after coming away from Windmill Wanderers with a 4-1 win. FC Ivanhoe held on to fourth spot courtesy of a 4-2 win over Finningley Athletic. The Salutation beat fellow strugglers Auckley 5-2 thanks to a four-goal haul by Andy McMahon. Sam Tanner also chipped in. FC Schoolboy handed out a footballing lesson to Division Two rivals Balby Rovers when celebrating their tenth win in as many starts with a 16-0 victory, which took them top on goal difference. Fourth-placd Cantley beat bottom club Carcroft Village Social Club 7-2, while Eden Arms remain fifth despite their 8-2 win over second-bottom AFC Rossington.